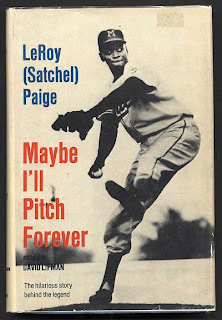 In celebration of what would reportedly be Satchel Paige's 107th birthday (he was born July 7, 1906), I offer a literary journey into the life of Satchel Paige. An eccentric character on and off the field, chronicling his career has spawned many books including two that he co-wrote. Below are some of the best books that showcase the life and times of Paige.